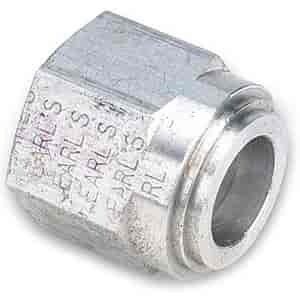 Earl's Female Weld Fittings are available in bare 6061 aluminum only. AN fittings seal on the flare (cone) and not on the threads; use caution and do not overtorque. NPT fittings seal on the threads; PTFE tape/sealant may be necessary.